For house hunters looking to put down roots in the east, Miller Homes at Shawfair is a fantastic place to call home. 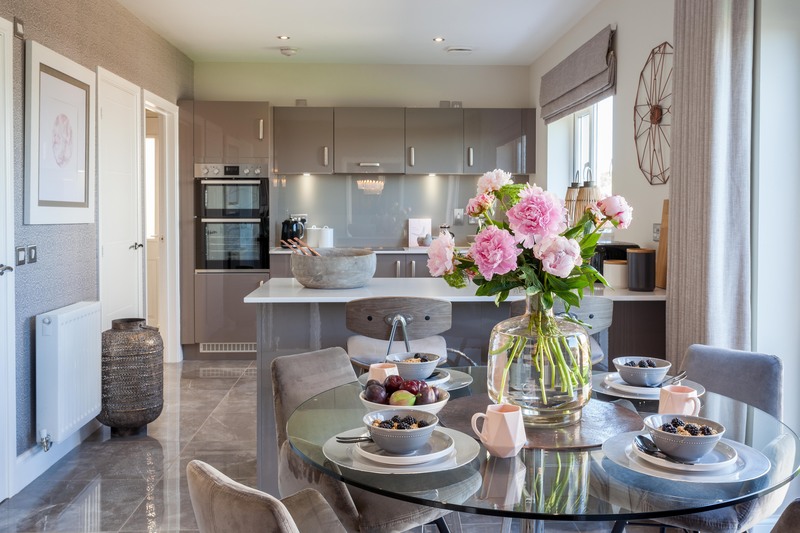 A new destination in Danderhall, the Miller Homes development is part of a wider community, and with a number of incentives available there’s no better time to make a move. The Munro is a great choice for both first time buyers and families looking to enjoy what Shawfair has to offer. Both stylish and practical, the home has been thoughtfully designed with modern life in mind, making best use of natural light and space throughout. The lounge is positioned at the front of the home and benefits from a beautiful bay window, keeping the room bright and airy. A lobby leads the way to the open plan kitchen and dining area. The heart of the home, the contemporary open plan living space allows buyers to cook, dine and socialise together all in the one place. Patio doors leading out to the back garden keep the room filled with natural light, and there is also a WC downstairs. There are three bedrooms upstairs, as well as a main family bathroom, giving buyers plenty of space to personalise the home to suit their needs. 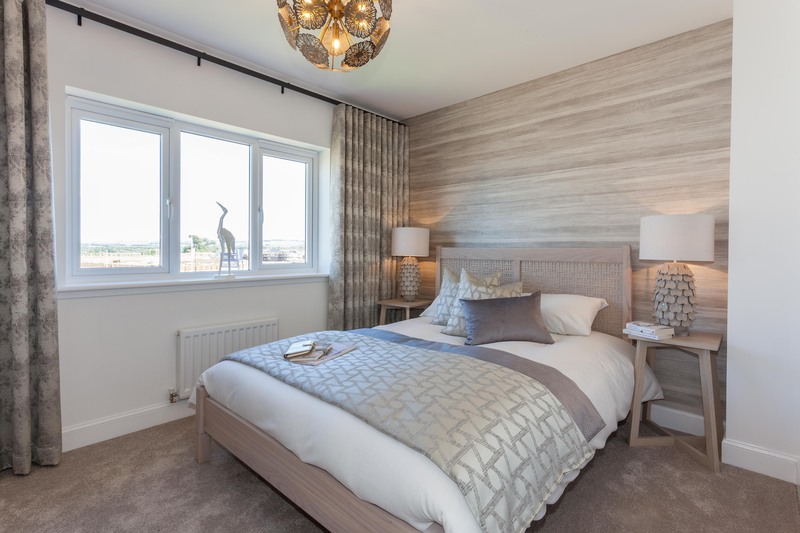 The master bedroom adds a touch of luxury and is the perfect place to relax and unwind at the end of the day, and features a private ensuite and double fitted wardrobes. The Munro is priced at £229,995, and to make the move even easier this Autumn, Miller Homes is offering a number of fantastic incentives. As well as a contribution to LBTT, Plot 9 also comes with carpets, while Plot 4 is available with Part Exchange and Miller Homes’ removal package – taking the stress out of moving. Within easy reach of Edinburgh’s city centre and just a few miles from the City Bypass, Miller Homes at Shawfair is in a prime location for those looking to enjoy city life while living in a scenic urban setting. The brand-new community will be home to three new schools, shopping, leisure and health facilities, making it an excellent place to call home. For more information visit the development from Thursday to Monday, 10.30am-5.30pm, call 03332 201 105 to speak to a Sales Development Manager or visit www.millerhomes.co.uk.